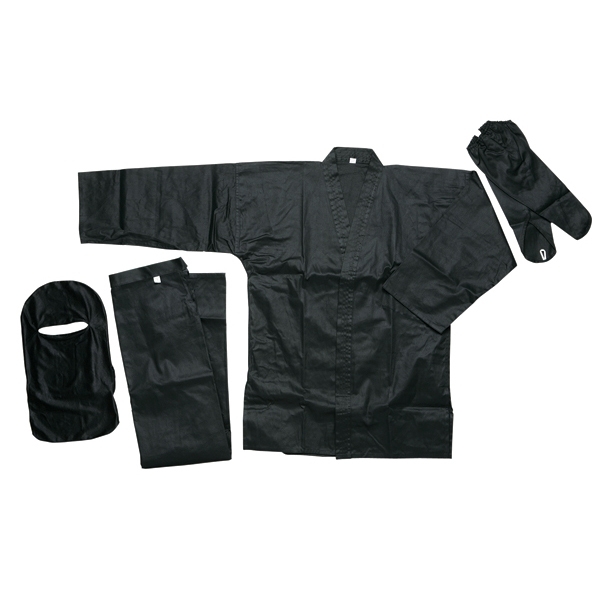 This replica Ninja Uniform, or Shinobi Shozoku, is constructed of 100% cotton and designed for stealth and comfort. The uniform jacket features a hidden shuriken pocket for concealing small knives and other traditional ninja weapons. The forearm guards feature finger loops to better hold them in place and cover the backs of your hands. The uniform includes a mask and hood combo that does not restrict breathing. The uniform pants feature ties at the waist, knees, and ankles to keep you stealthy and allow for a comfortable tight fit.